To start this article, we want to introduce you to the new citizens’ project, LabIN Granada. This project originates from the UGR in order to boost participation by the university and members of the public. 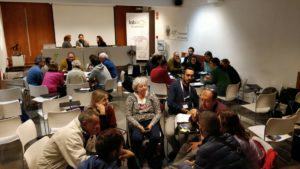 It aims to be a laboratory designed so that Granada’s citizens can participate more actively in their city. This gives rise to innovative ideas and solutions to problems. 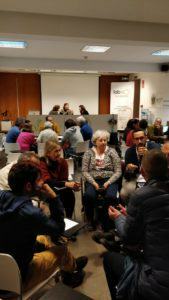 On 5 November, Cicerone participated in a forum for good practices for heritage interpreters. As a company, at Cicerone we’re proud to be part of a city like Granada, as it’s so rich in heritage and culture. That’s why we didn’t even have to think twice about being a part of this forum and about offering the guide our years of experience in the sector and guided tours across the city. During the forum, initiatives and a good practice for guides handbook were proposed. Better late than never, as we want to continue preserving our culture and heritage, which is why ideas for this guide were taken from codes in other tourist cities such as Valencia and Barcelona. What is sustainable tourism and why is it important for our city? Sustainable tourism is based on tourism of any type, but always focusing on minimising the environmental impact on the city we’re visiting. This way, we can contribute to the economy and employment without any repercussions. Tourism has seen a notable growth in our city and every day, thousands of people visit the Alhambra, wander around the Albayzín area or head to the shops in our city centre. That’s why preserving and looking after our culture is more important now than ever. For some time now, investigations have been carried out to determine how Granada can become a city for sustainable tourism, based on the impact of the areas of interest or public transport for tourists who wish to visit the city. Cicerone actively participates in a sustainable tourism model in Granada. We have a criterion of heritage interpretation during our tours and sustainable tourism. That’s why we work with small groups with a maximum of 10 people, to avoid crowds and noise and to make our tours more personalised. Our guides or receptionist at the customer services centre are always willing to recommend places to eat, sleep or even shop. We visit different monuments around our city without making an impact, in addition to giving examples of the types of behaviours that could put this at risk.